For the third time Bulgaria takes part in the Eurovision Song Contest. 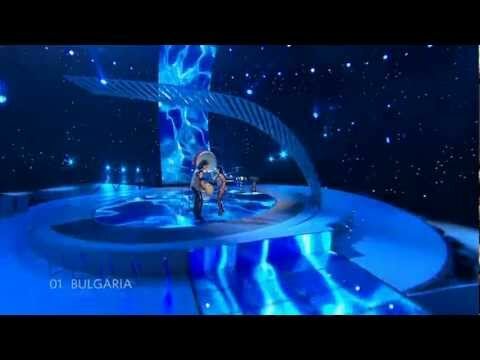 Since the EBU invented the two-show concept, Bulgaria never made in into the big final. Even if the Bulgarian songs were of high quality and fulfilled the Bulgarian pride. This year there is something absolutely different from the Balkan country. It’s a very interesting song consisting of rhythm and drums, accompanied by an extraordinary voice. It’s going to be the first song in this year’s semifinal and will be a kind of “shocker” and will also set new standards. This year is also be seen as a year with a very wide musical spectrum. “Water” is different and it’s catchy. It will also fall out of the ordinary, maybe like the Belgian entry in 1983 in Munich Pas de Deux with “Rendez-vous”, which ended up very low. It was far too much for that certain year. “Water” is a musical highlight which should not be underestimated, compared to the other songs. Good Luck Bulgaria!